REDS coach Richard Graham is confident young halfback Nick Frisby will admirably fill the boots of injured halfback Will Genia against the Rebels in Melbourne tonight. 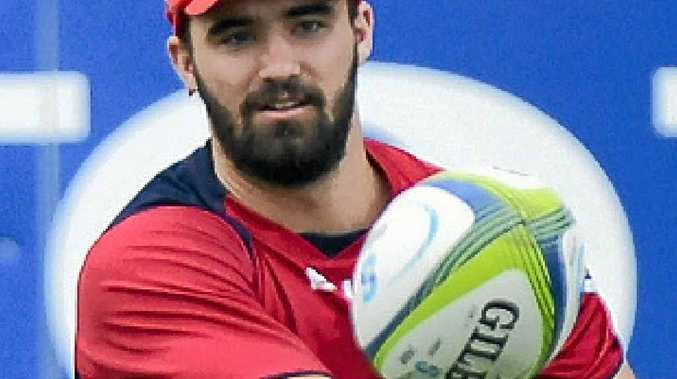 Frisby, 21, will form a new scrum-base connection alongside Ben Lucas. It will be the first time Genia and Quade Cooper will be absent from the run-on side since 2008. Frisby has good memories of his first starting role in a Queensland jersey. That came against the Rebels last year when he scored a great try after starting a slick 70m attacking movement. And Graham said while Frisby hadn't made a lot of starts for the Reds, he had spent most of the past three years learning from Genia. "I've got a lot of confidence that he and Ben will lead the team around well," the coach said. Graham said the reason for naming a largely unchanged team from the Reds' last game before the international representative break - a 38-31 win over the Highlanders - was simple. "I thought those guys performed really well to get us that win before the break, and should be rewarded for that," he said. Rebels coach Tony McGahan has named exciting youngster Sean McMahon in the starting line-up, while Jack Debreczeni will make his run-on debut. "Jack has been able to play effectively off the bench for the last two games, and we really want to have a good look at him starting," McGahan said. Tonight's other game will see the Highlanders host the Chiefs in Dunedin. Chiefs halfback Augustine Pulu will make his Super Rugby comeback after a recent knee procedure, and will be joined by Robbie Fruean, who will make his long-awaited return. WEEK 17 (home teams first): Fri: Highlanders v Chiefs, Rebels v Reds; Sat: Hurricanes v Crusaders, Waratahs v Brumbies, Force v Blues.